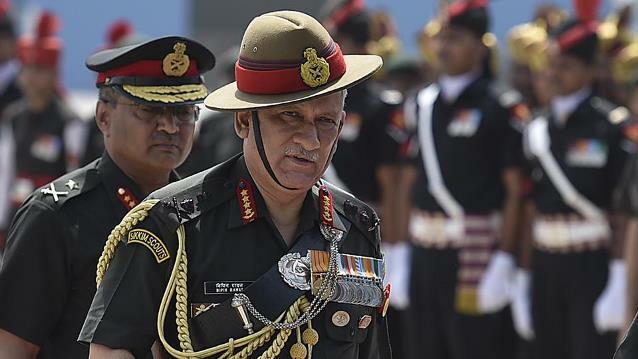 NEW DELHI: Indian Army Chief Bipin Rawat ‘wants another surgical strike’ on ‘terror launch pads’ across the Line of Control (LoC) as occupied Kashmir continues to fester. The Indian army chief said time was ripe for such action in an exclusive interview to Aaj Tak. “I believe there is a need for one more action (surgical strike). But I will not disclose how we intend to go about it,” Rawat said in the interview broadcast on Monday. In 2016, India claimed to have carried out ‘surgical strikes’ on ‘terror launch pads across the LoC following an attack on a military base. Categorically rejecting Indian claims, Pakistan announced to have captured an Indian soldier the same day. Ties between the two South Asian arch-rivals hit a fresh low after India recently called of a planned meeting between the foreign ministers of both countries on the sidelines of the United Nations General Assembly session. Islamabad expressed ‘deep disappointment’ over the development saying reasons cited were ‘entirely unconvincing’. The Foreign Office said the development was an emblem of how India had once again squandered an opportunity for peace.